“Visibility creates Opportunity”. That’s the mantra of LinkedIn and Hootsuite veteran (and actual army Veteran) Koka Sexton. He was a recent guest on the always interesting Social Selling Podcast from Linking Into Sales. He shared lots of great insights on where social selling is going, how LinkedIn works from the inside, and how AI can help sales professionals be more effective. He’s another big fan of the 5:3:2 rule: if you want to build visibility and authority, share other people’s content. Like this. Literally what we’re doing right here. Did we do it right Koka? How big is the Gig Economy? Did you know that more people are full-time freelancers in the US than are employed by the Government? Me neither. We love Jacob Morgan’s Future of Work Podcast, and this recent episode on the Gig Economy was fascinating. Guest Steve King talks about how the gig economy permeates all corporate functions – including sales, marketing and digital learning. He ponders on how small the permanent team of a company could be – could you have a Fortune 500 company with a handful of full timers? You can outsource more than you think. Sales and Marketing: Why Can’t They Get Along? You know they should be aligned. You’ve heard words like “smarketing” and (wait for it) “smales”. But beyond these words and behind closed doors there’s still way too much separating sales and marketing. What can we do about it? Bernie Borges shares some ideas for better alignment through through a social selling lens in this episode of Selling with Social. 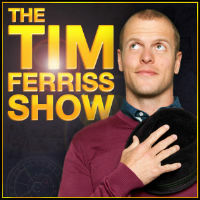 Tim Ferriss is the daddy of the business podcast. His interviews with experts and high performers are always worth a listen, even when they’re over 2 hours (tip: listen at 2x speed, that way you don’t have to run for so long). This week he did a curated remix of LinkedIn co-founder Reid Hoffman’s 10 commandments for Startups, adding his own thoughts. You are going to hear No a lot. That’s ok. What you want is a squirmy no. You’ll have to listen to find out what that means. Bonus episode: Blockchain and Bitcoin 101. Once you get the “fly in amber” analogy, it’ll all make sense. Sort of. We’re not all business when it comes to podcasts. Sometimes you need to take a different view. Malcolm Gladwell’s the man for that. He brought you The Tipping Point and Outliers. 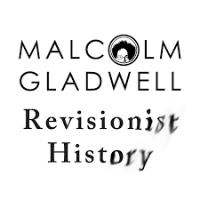 In his podcast Revisionist History he re-examines preconceived notions or well-established truths to question them. A great recent episode: A good walk spoiled examines what golf clubs (in the US at least) have in common with The Ship of Theseus paradox. No really, stick with it. You will emerge with a newfound disdain for private golf clubs in LA. If that’s something you’d like to cultivate. 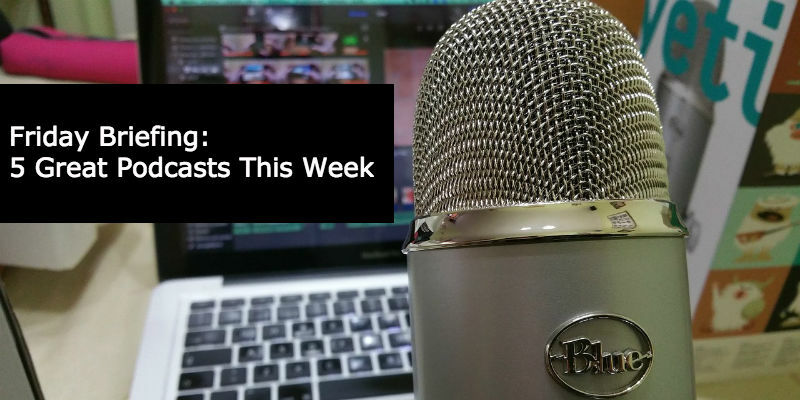 You can keep up with all the best podcasts for business, sales and entrepreneurs in our briefing here. It updates every few hours with new listening suggestions. Plenty to keep your company as you run towards your next big thing (in our case this week: lunch).